I’ve noticed lately that Photoshop actions are so popular. I’m not surprised. 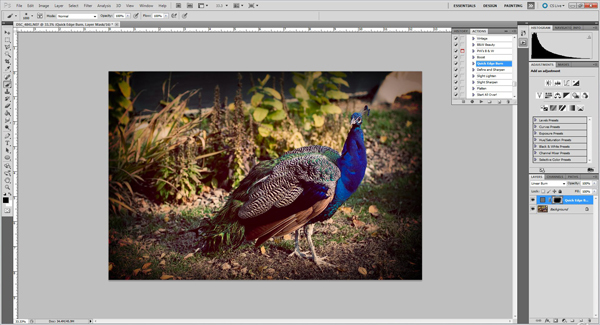 They make photo editing so quick and easy with just a click of a button. I thought it would be fun to share a little bit about how to use them. I know that actions normally are a one-click option, but I find that I still want to do a little bit of tweaking within each action, and I definitely use more than one action for each picture. 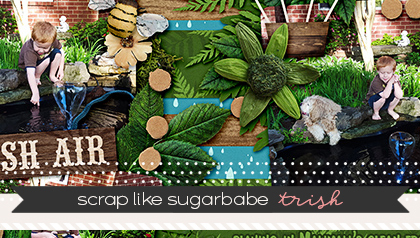 Plus, I like to add some extra fun to my pictures to get them to match a kit when I’m going to scrap the pictures. 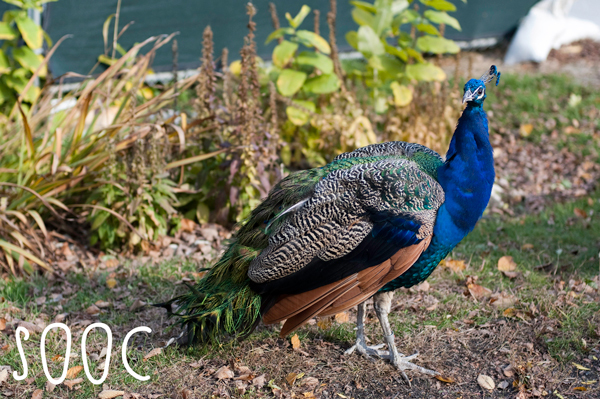 We were just at the zoo the other day, and I got some pictures of one of the peacocks that was running around. Today, he will be the subject of this tutorial. After I’ve done some basic editing in Lightroom, I’ll open it up in Photoshop (right click on photo in LR and then choose “Edit In” and then choose PS). 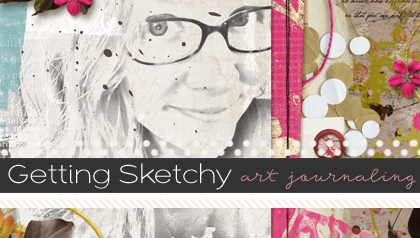 I’m going to use Pioneer Woman’s free photoshop actions which you can find HERE. I’ll be posting some links to some favorite actions at the end, and many of them can be used not just with PS but with PSE too. I normally like just a simple edit and will only do one or two actions to give it a little bit of a boost. 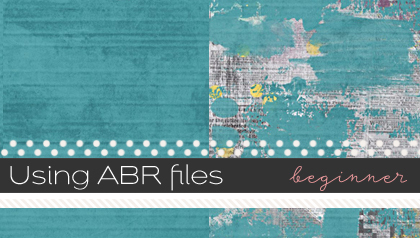 But, today I’m going to show you how you can use a few more to get a drastically different effect with your photo and to demonstrate that these are just a starting point and there is so much more you can do with them. After getting into “photography” mode, I’ll click on the little arrow to the left of the histogram to bring up my actions. I’m going to scroll down to the Pioneer Woman’s actions since those are the ones I’ll be using. My favorite is the “Boost” action, so I’ll run that one first by clicking on it and then clicking on the arrow button at the bottom of the action box to “play” the action. All actions run a little bit differently. Some actions have everything all laid out in layers for you and some have the layers grouped together in a folder like these. You can click on the arrow next to the folder to open it up and then tweak inside there. 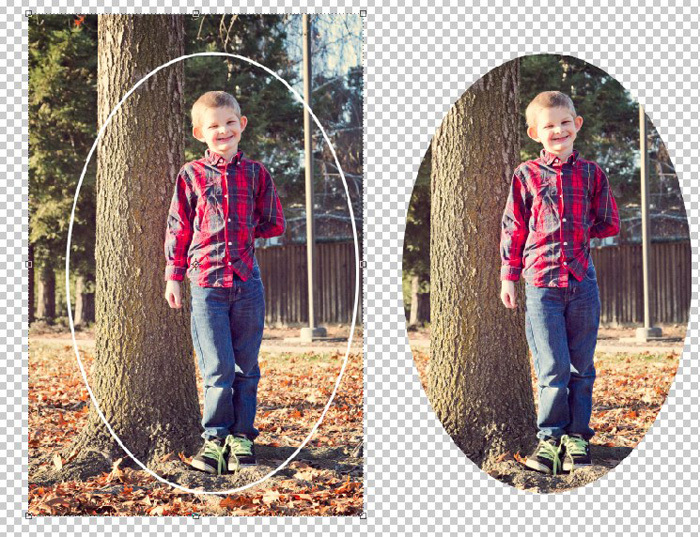 By turning the layers off or on or changing the opacity on any of the layers, you can see all the different changes you can make to this one edit. I liked it the way it was so I left it all alone. Before going on to the next action, I make sure to flatten the image. You’ll want to do this every time you start a new action so that the action is run on the entire image and not just one layer. The next action I ran was “Old West.” I didn’t want that action on the peacock, though. So I added a layer mask to that layer by clicking on the little square with the circle in it to add the layer mask to the layer created by the action. PSE versions older than PSE9 do not have this option. 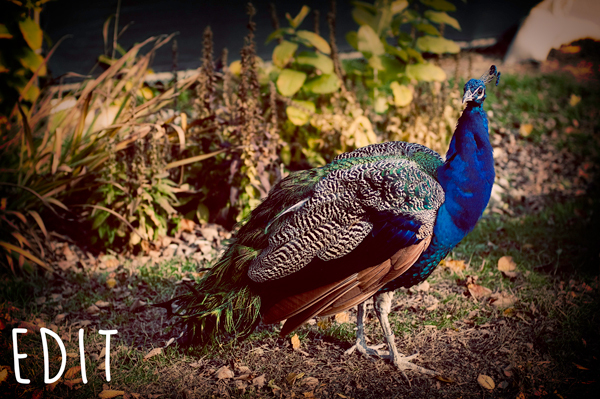 Because the mask is white and I wanted to “erase” the action from part of the picture, I switched the foreground color to black in the toolbar on the left and then picked a soft brush and “painted” over the peacock to “erase” the action from the bird but left it everywhere else. If you go too far and “erase” a part that you like then all you have to do is switch the foreground color back to white and paint back in the action in that area. For PSE versions older than PSE9, you can use a soft eraser on the layer. This is similar to painting but the eraser is permanent so if you erase too much you’ll have to use ctrl-z to go back, or you can delete the action layer and start over. After I had it the way I wanted, I flattened the image. I then chose the “Seventies” action, which I think is just so much fun. I really like the coloring it gives to the photo. It was a little bit too much so I just turned the opacity down to 50%, and when I was happy with the color, I flattened the image. Now, I wanted something really dramatic, so I chose “Quick Edge Burn” as my next action. After running it, there were some spots that had darkened up his face and legs and the end of his tail. There is already a layer mask on this layer, so all I needed to do was grab my black soft brush and “erase” the burn from the areas that were darkened. If I wanted to add more “burned” areas then I’d use the white soft brush to paint it in. Once I got it the way I wanted, I flattened. I liked how this turned out, so I saved it. I hope this gives you a little insight into how actions work and how they speed up your photo editing process. I asked Traci’s team to tell me their favorite actions so you can have a look at some. Some of them are free and some of them cost money. Some of them can be used with both PS and PSE, but some of them can only be used with PS. For PSE users, be sure to check to see what programs they work with before purchasing. 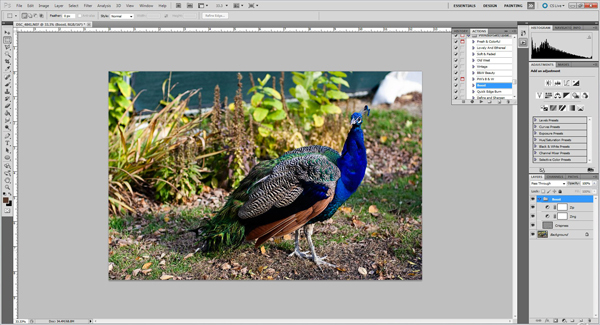 Actions are really easy to install in PS, but they are a bit more complicated in PSE. I’ve found these directions to be really good for installing them. The main key is that every time you install new actions, you’ll have to re-build the mediadatabase file, which is easy to do–it just takes a long time, especially if you have lots of actions installed. Be sure to scroll down to the bottom of that installation tutorial to learn how to do that.